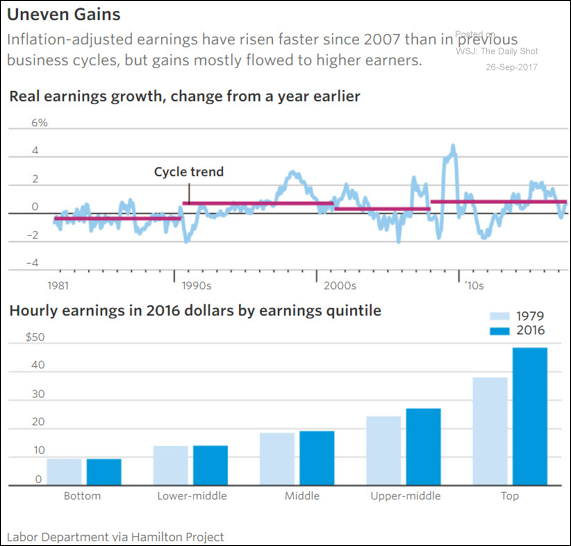 The United States: Growth in real hourly wages has been uneven. 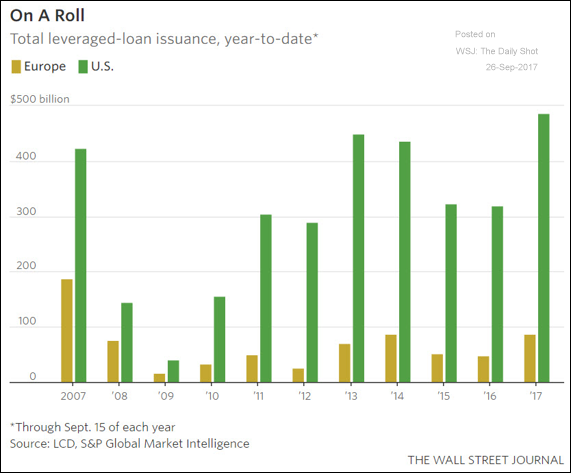 Credit: Leveraged loan issuance in the US is on track to hit a record this year. 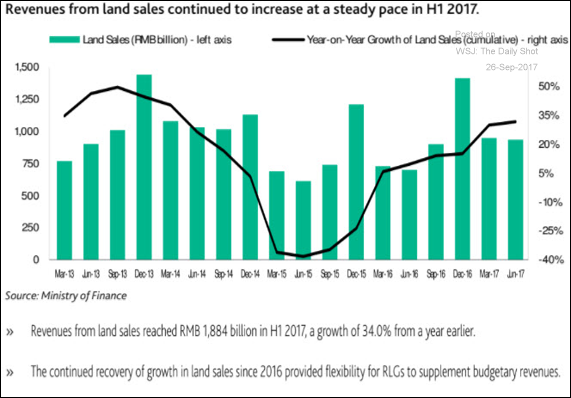 China: Local and regional governments continue to raise money through land sales. 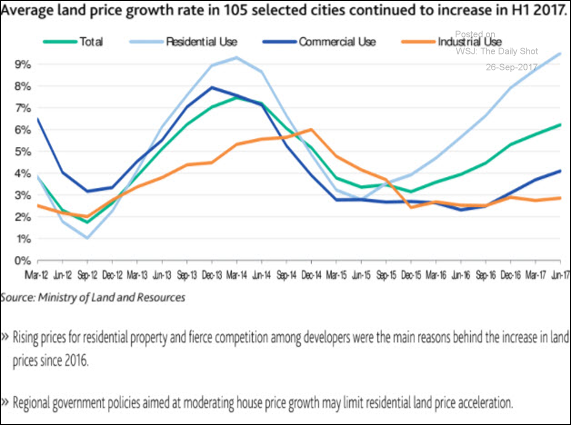 And times are good to sell land, especially if it can be developed for residential use. 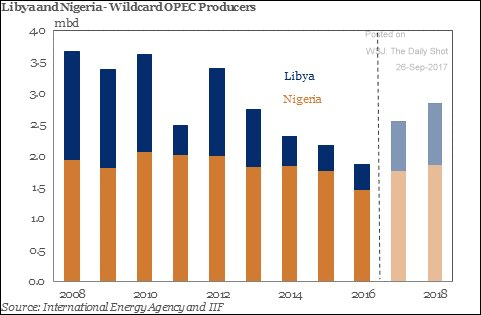 Energy Markets: OPEC’s output is expected to rise as oil production in Libya and Nigeria stabilizes. 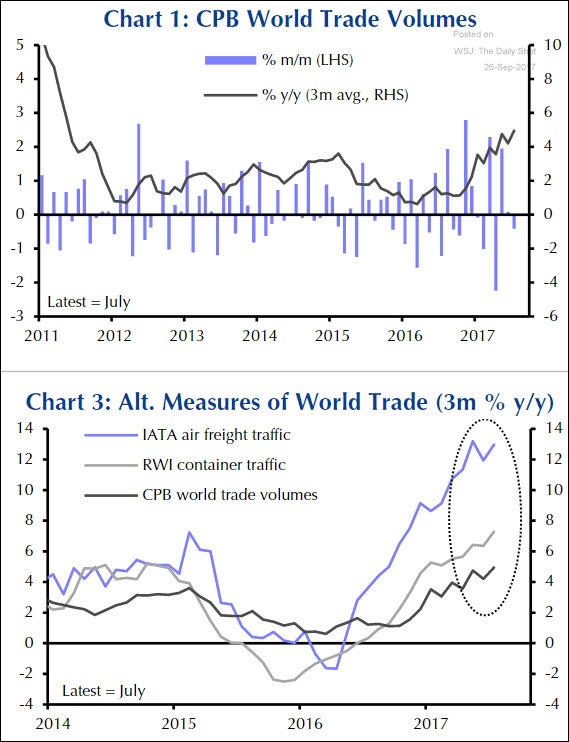 Global Developments: Several indicators point to strengthening global trade volumes despite the rise in protectionist measures. 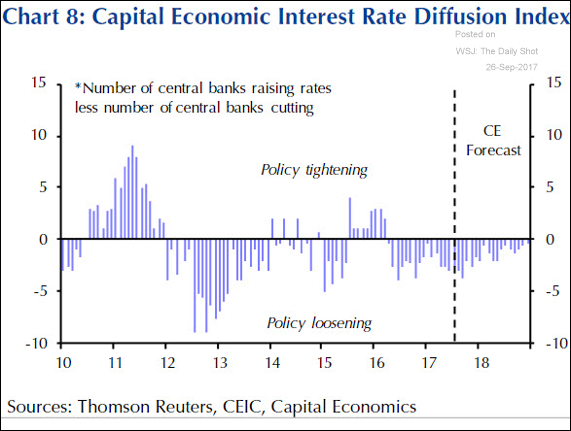 Emerging Markets: This chart shows the net easing by EM central banks, which is expected to continue through 2018. Russia, Brazil, and Indonesia are just some of the recent examples. 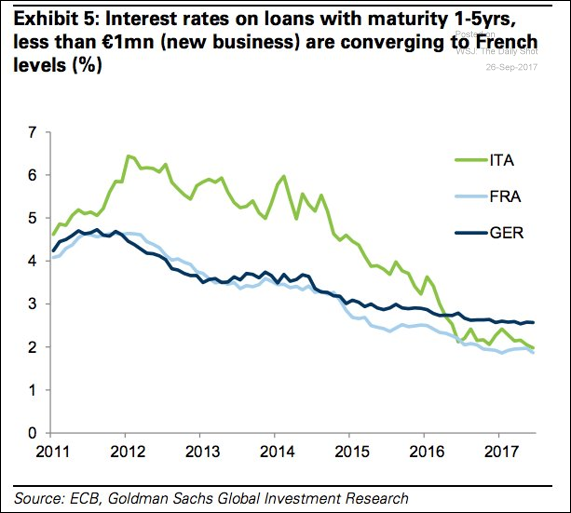 The Eurozone: This chart shows the interest rates on small business loans in Italy, France, and Germany. The ECB’s monetary transmission concerns have finally been addressed. 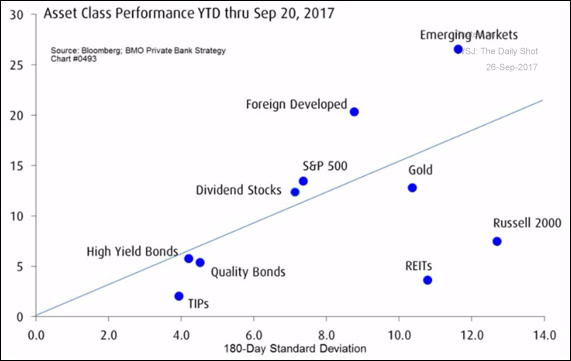 Equity Markets: Here is the year-to-date risk-return scatter plot for major asset classes. REITs continue to look terrible. 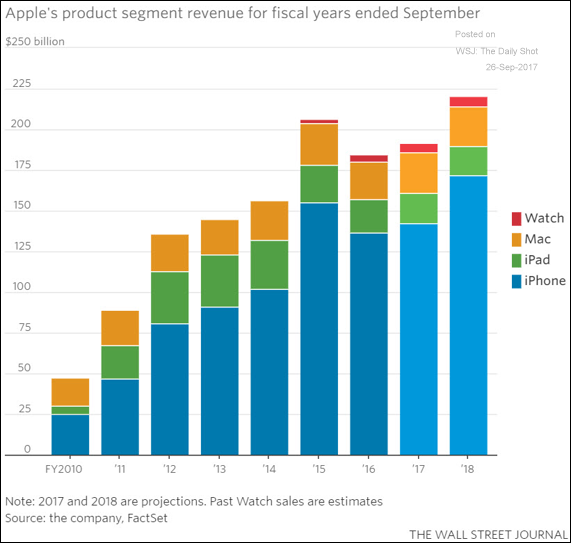 Food for Thought: Apple (and to some extent the US stock market) remains dependent on the iPhone revenues. 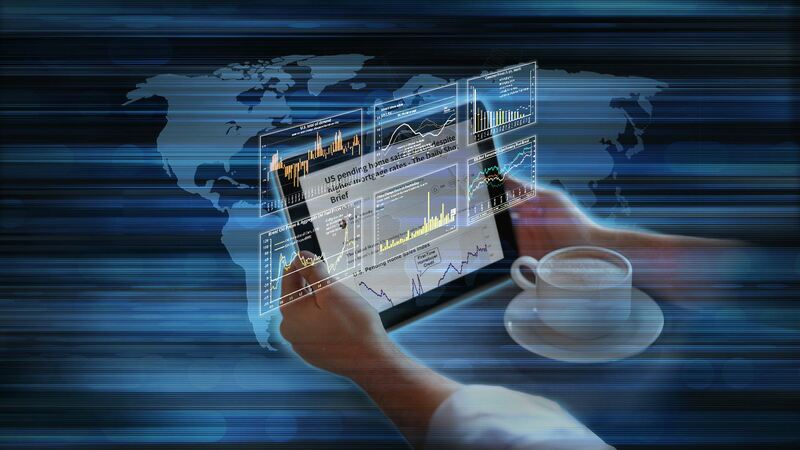 Will the public pay nearly $1,000 for the latest product?